Peace & Privacy!! Everything you need plus more, all in one level!! Hard to find, 1/2 acre lots with pine tree lined back yard. Much to enjoy off your screened in porch.! Complete with a formal dining, study, 3 bedrooms, 2 baths, bonus room, fully open floor plan. Stunning features and upgrades ranging from our most durable 12 mm mohawk laminate floors throughout the main living as well as stylish white cabinets in kitchen and baths. Granite counters, whirlpool stainless steel appliances, with gas range upgrade. Popular subway tile used in kitchen backsplash as well as master shower surround. Built in drop zone in the laundry room off the garage to catch all your coats and shoes on the way in the house. Home reflects a discount of $7,500 tied to the use of our preferred lender and closing attorney, most closing costs will be paid with the terms. 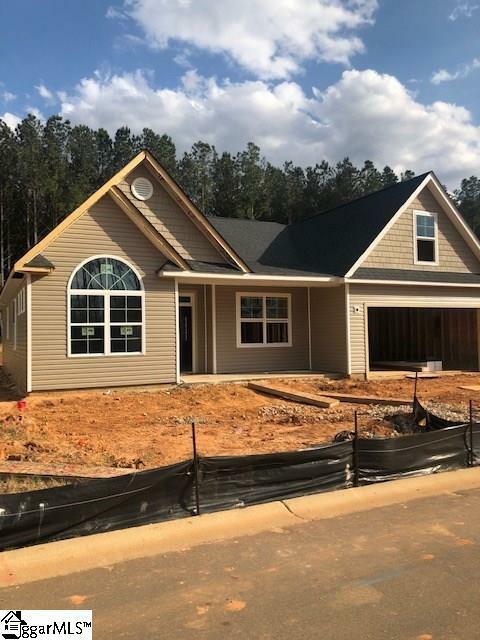 Listing provided courtesy of Reagan Sanders of New Home Star Sc, Llc.